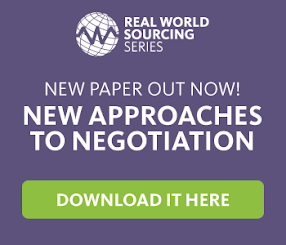 Strategic Sourcing: What the Heck is SRM? “SRM”... the latest frontier in the procurement space, or is it just good procurement practice? Amongst clients and colleagues, I get the invariable feeling that there’s widespread frustration around implementing supplier relationship management (SRM) / strategic supplier relationship management (SSRM) / supplier performance management (SPM) / vendor performance management (VPM) programmes – all of which are different by the way – however, the lack of practical understanding creates a massive grey area and nightmare for procurement executives trying to drive best-in-class procurement and supply management organisations. Jim: “Well Rosie, we need to measure our suppliers. All of them... No, maybe just some of them... So we’re trying to segment them... Then we’ll measure them on their delivery... Yep – that sounds about right. Oh, and we need to involve the marketing team in getting 360 degree feedback, but we have to manage risk – that’s really important... Hmmm, it’s difficult really... depends what you define as ‘SRM’ I suppose... And we don’t really have the bandwidth or skills... So maybe we’ll park it for now and focus on something else?”. In all seriousness, I think that part of the problem is caught up in the branding of SRM... i.e. that professionals have been led to believe that supplier relationship management is a ‘single entity’ rather than an ‘holistic approach’. Procurement has also moved on significantly from beating down your suppliers, so the ideas of building ‘relationships’ with them can be a bitter pill to swallow. But isn’t supplier relationship management just another term for ‘strategic procurement’? Doesn’t it include strategic sourcing (upstream), transactional purchasing (downstream), contract / supply management, risk management etc. – in other words – the core functions of procurement? Isn’t “relationship management” too soft and reductionist a title for what is actually a highly sophisticated and interdependent commercial process? Either way, the SRM mission has gone viral, my brain is bursting with confusion and I’m determined to find a cure. So for this series of blogs, I’ll attempt to relate SRM to the typical end-to-end procurement professional’s life, starting with the upstream procurement cycle and initial engagement with your suppliers... so stay tuned!